Hot drinks are the mainstay, the backbone, the buttress, that vital spark, the very lifeblood of our existence. So imagine how perfect and complete life would feel if there was no longer that tiresome wait for the kettle to boil. 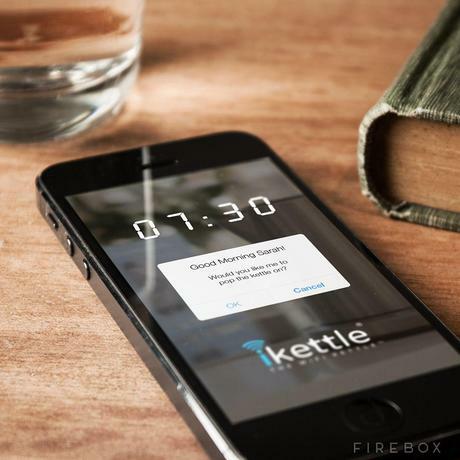 This blissful paradise we’ve just described is now all too real, thanks to the iKettle – The World’s first WiFi Kettle. Stumbled in the front door from work exhausted? Nervy half-time ad break during the World Cup final? Slaving away on a late night project and can’t waste a second? 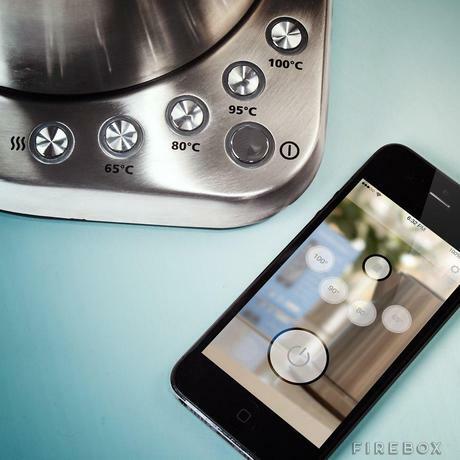 Whatever the urgent hot-drink scenario, a simple one-touch setup allows you to instantly control the iKettle from anywhere in the house with your smart-phone. Call yourself a hot-drink connoisseur? Then you don’t need us to tell you that a Green Tea deserves to be served at 80° and a Coffee at 95°. With four tailored and precise temperature settings, this steaming servant is your new gateway to the absolutely flawless brew. Just because the iKettle is packed full of incredible technology, this doesn’t mean it has to look like something out of Wallace and Gromit. With its clean stainless steel design, LED Backlit control panel, soft-touch rubber handle and functional filtered spout it’s very much a smart and refined addition to your kitchen. Stop wasting time waiting for water to boil. Relax. 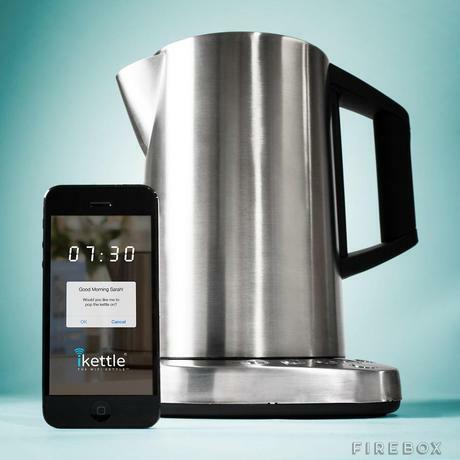 Let the iKettle take care of you.